Monday, for the most part, usually means back to work and back to real life. Though this particular Monday I'm bed bound riding out the cold of all colds, I'm throwing it back to my first day of summer term at uni a couple of weeks back when I was feeling a lot more Monday-appropriate. See more below. Though all of my wardrobes are practically bursting at the hinges, this is my first suit-suit. Fancy co-ords and all types of blazer's, of course I have dozens, but not one traditional trouser and jacket set. I'm a fairly smart dresser too, so it was a little surprising - I guess I never found the need. 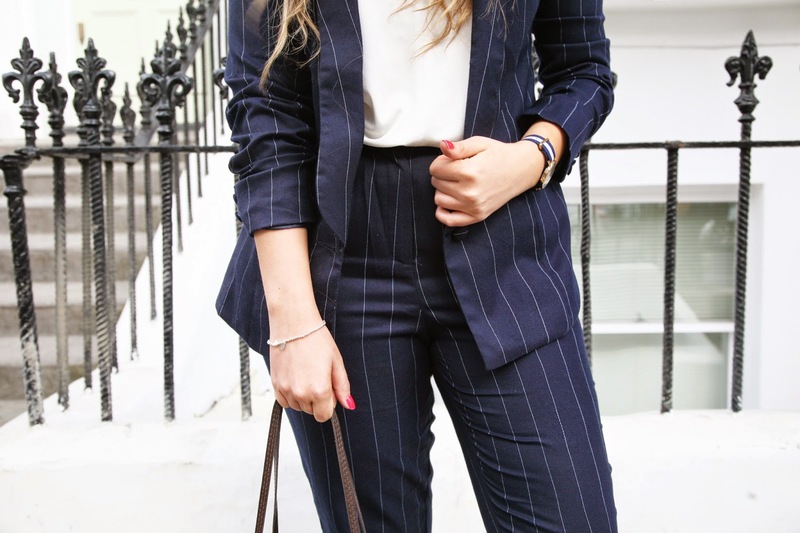 But after spotting these navy pinstriped pieces on Missguided, I thought it was about time, and let's face it, one's as classic as these are not just for office dressing. 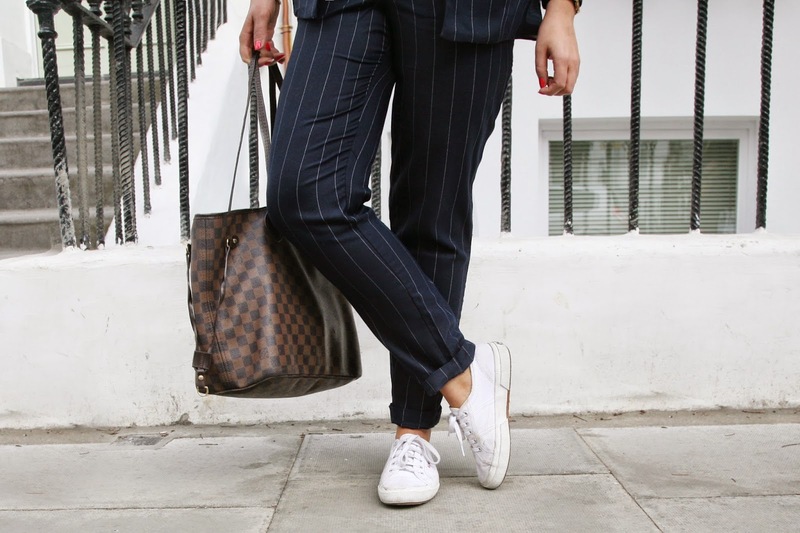 I dressed mine down with aviators, a basic tee and white trainers for my 'first day back' look with my trusty stuffed-full-of-uni-crap LV swung over my shoulder. 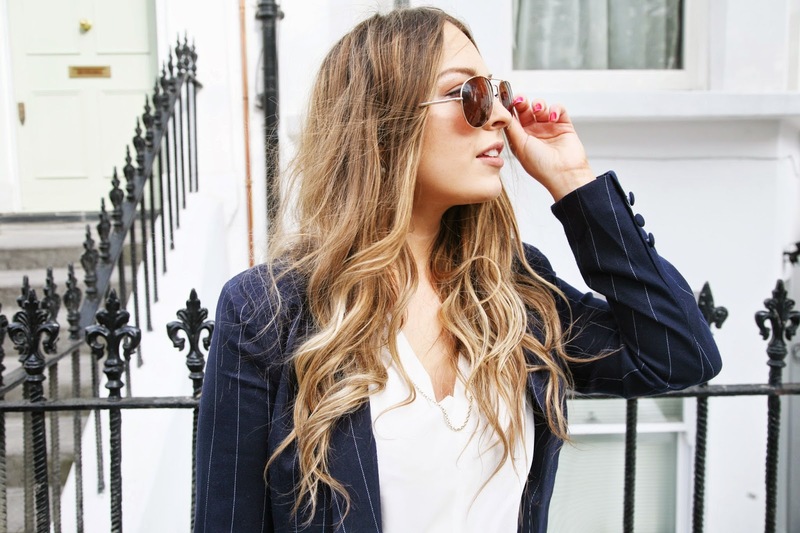 Shop the look below! 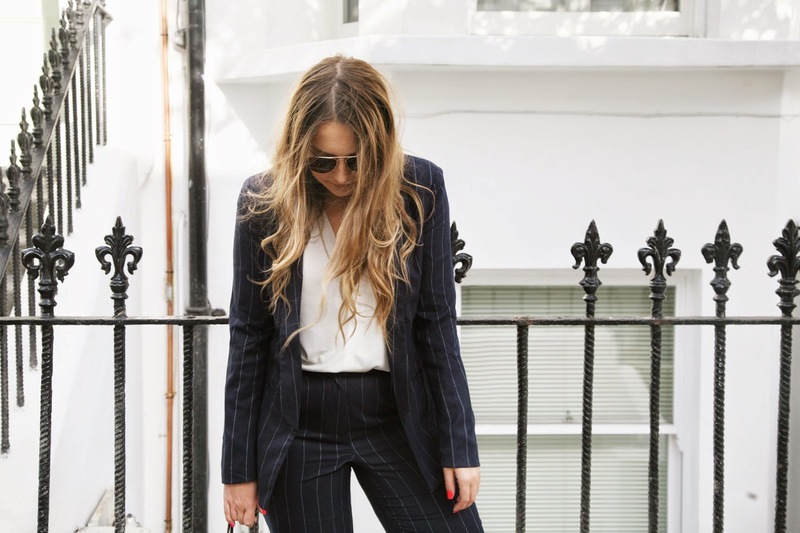 This suit is gorgeous, would never have guessed it's from Missguided! loving the suit paired with the kicks! can't believe its a missguided two piece!